This is about a ten day supply of tempeh. A slice is cut and eaten daily usually at breakfast. This is my main source of protein. I make a batch in 30 hours, and keep in the refrigerator wrapped in clear plastic. It always comes out the same. Even my dog, Ginny, eats a slice daily. 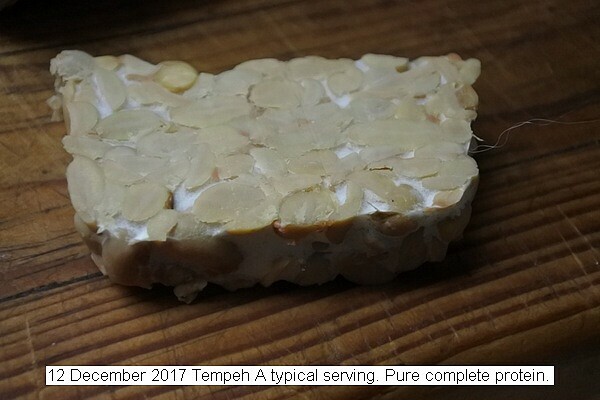 This entry was posted in Uncategorized and tagged 12 December 2017 Tempeh, Tempeh). Bookmark the permalink.